Alice is currently not available to accept new requests. I have always adored animals, and have owned dogs my whole life. I own two 4 month old kittens and a Jack Russell Terrier called Oscar, who all adore each other. I can provide day care at my house for dogs who get on with other dogs and cats, or I can house sit at your place and look after your animals there. With regards to dog walking I can provide one or two hour walks, including pick up and drop off at your house if required. There is a large park opposite my house and a one or two hour forest walk depending on the route I take. 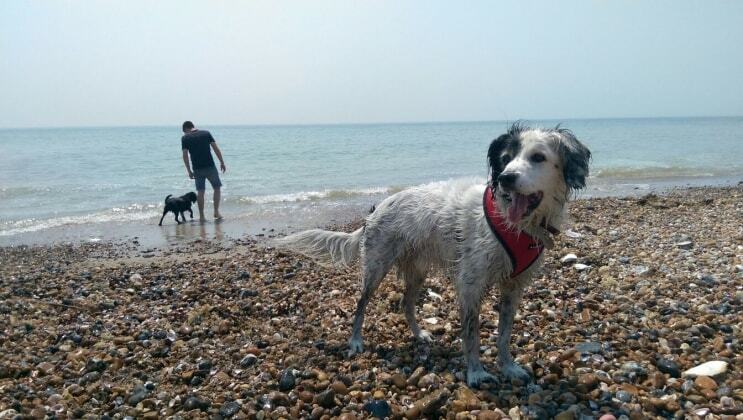 I used to live on the South coast so I know plenty of beach walks too if that is what your dog prefers. I currently work every other week at a Veterinary Referrals practice as a Veterinary Auxiliary, where my duties involve walking the dogs, feeding the dogs and cats (and the occasional rabbit or tortoise) and providing lots of TLC to all. I have been there for 18months so have plenty of experience caring and walking dogs of all shapes, sizes and temperaments. I love the company of dogs, getting to know their individual personalities, and have always felt calm and confident around all dog breeds from miniature to giant. My love for cats has developed since working at a Vets, and now owning two of my own, couldn't imagine life without them. I am very tidy and conscious to provide a clean and hygienic environment for my pets. It would be my pleasure to provide dog walking, doggy day care, house visits and house sitting services for your pets. If you would like any further information about me or the residence where your dogs would be staying over, please feel free to contact me.